In the second week of December, BGR made emergency donations to the World Food Program USA to provide assistance to two communities facing severe food shortages. An emergency donation of $8,000 will help the World Food Programme provide aid to the people of Yemen; the other donation, of $4,000, will provide food assistance to the Rohingya refugees from Myanmar now living in displaced persons camps in Bangladesh. The Rohingya, a Muslim ethnic group traditionally resident in the Rakhine State in Myanmar, have fled their country because of the extreme violence directed against them by the Myanmar military. Their villages have been burnt, their people (including elders and children) shot in cold blood, and women subjected to sexual cruelty. The violence, sadly, has been supported by extremist Buddhist monks, contrary to the Buddha’s teachings on loving-kindness and communal harmony. Close to a million refugees have sought sanctuary in neighboring Bangladesh, where they are being accommodated in overcrowded, unsanitary makeshift camps with pressing needs for food and health care. The refugees want to return to Myanmar but are afraid for their safety. The global Buddhist community has a responsibility to show that such violence is not the Buddhist way. The Buddhist Humanitarian Project is an initiative of the Clear View Project, a 501(c)(3) organization based in Berkeley, California, under the leadership of Hozan Alan Senauke, former executive director of the Buddhist Peace Fellowship. The project has launched a new website to garner support for the Rohingya refugees. At the website you can learn the various ways you can help to ameliorate this heartrending crisis. Among other things, you can sign a letter to the Myanmar State Sangha Council and government officials, urging them to reject the violence and support the refugees. You can donate to respected nonprofit organizations working on the ground in the Rohingya refugee camps. The website offers a list of reliable organizations. You can also share this information on social media and by email with friends and members of your sangha or community. Your support can say to Rohingya peoples and to the world that the rain of the Buddha’s compassion falls on all beings equally. 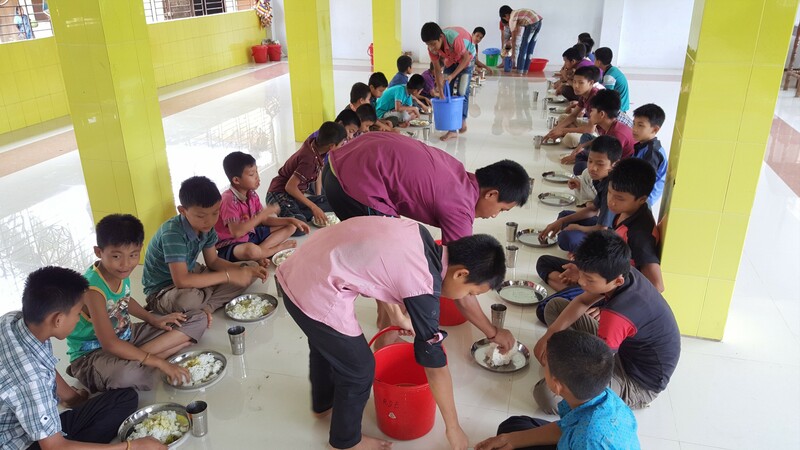 In 2016, BGR provided a grant to the Jamyang Foundation to support the free school lunch program at the Visakha Girls’ School in the Chittagong Hill Tracts of Bangladesh. The grant covered the period from April 1, 2016 to March 31, 2017. This article, based on the final report from the Jamyang Foundation, describes the challenges faced by the school and the benefits of the project. Visakha Girls’ School is located at Dhosri, a remote village in the district of Khagrachari in the Chittagong Hill Tracts (CHT) of Bangladesh. The school was founded in 2005 and began offering free education for girls with the generous support of the Jamyang Foundation, which is under the direction of the American bhikshuni, Ven. Karma Lekshe Tsomo, a professor at the University of California, San Diego. 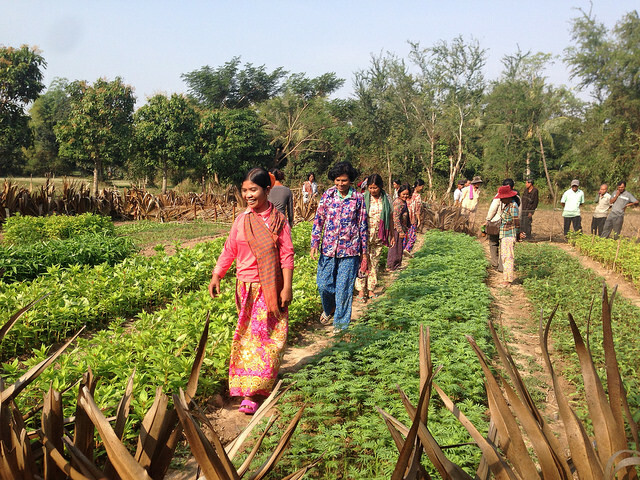 Initially, the Visakha Girls’ School offered classes to students in the 1st grade only. Later, more classes were gradually added. Now the school offers classes up to 5th grade. An increasingly hungry world is increasingly unstable. A new report issued by the World Food Program USA—Winning the Peace: Hunger and Instability—presents an unprecedented view into the dynamics of the relationship between hunger and social instability. This past week Buddhist Global Relief provided emergency grants totaling $12,000 to the World Food Program USA for three projects–in Yemen, South Sudan, and among the Rohingya refugees from Myanmar living in Bangladesh. The contribution is to be divided evenly among them, with $4,000 going to each project. While this is just a tiny fraction of the aid needed, given the dire conditions all of these peoples are facing, every little bit–as an expression of compassion and concern–will be welcome. This past week the BGR Board voted to approve emergency grants of $5,000 each to two organizations working with people in distress: to Oxfam America, which is hard at work in Puerto Rico, filling in where the U.S. government effort has been slow and inadequate; and to the World Food Programme, which has been providing urgently needed food aid to the Rohingya refugees who have fled violence in their native Myanmar and taken refuge in neighboring Bangladesh. The statements that follow have been adopted from reports by the two organizations. At the BGR board’s annual projects meeting on May 7, the board approved 28 projects for partnership grants in the next fiscal year, at a total cost of $480,000. Most are renewals of repeated annual projects, while others are new. In addition to our long-term partners, we also formed new partnerships. Several project applications that did not arrive in time for the meeting will be considered later. Besides our grants, the BGR board voted to donate $20,000 to the World Food Program to provide food relief to four countries afflicted by near-famine conditions: Somalia, South Sudan, Nigeria, and Yemen. This is the first of a multi-part series of posts giving brief summaries of the BGR projects approved at the meeting. Projects are arranged alphabetically by country. Thanks are due to Kim Behan, BGR Director of Programs; Patti Price, Chair of the Projects Committee; David Braughton, Vice Chair; Chot Elliott, Board member; Ayya Santussika, Board member; Tom Spies, ED; and Jessie Benjamin, Carla Prater, and Jennifer Russ, who helped prepare the material used in this series of posts.